The Blockhouse Bay Primary School Performing Arts Centre was packed with parents and family members to witness the Year 6 graduation ceremony at the end of the 2017 school year. In his speech to the assembled well-wishers, Principal Neil Robinson congratulated the 91 graduates and encouraged them to be resilient when meeting challenges in the future. Board of Trustees Chairperson Stephen Dallow reinforced this message and expressed the importance of trying new things, as people do not know what they are good at until they try. 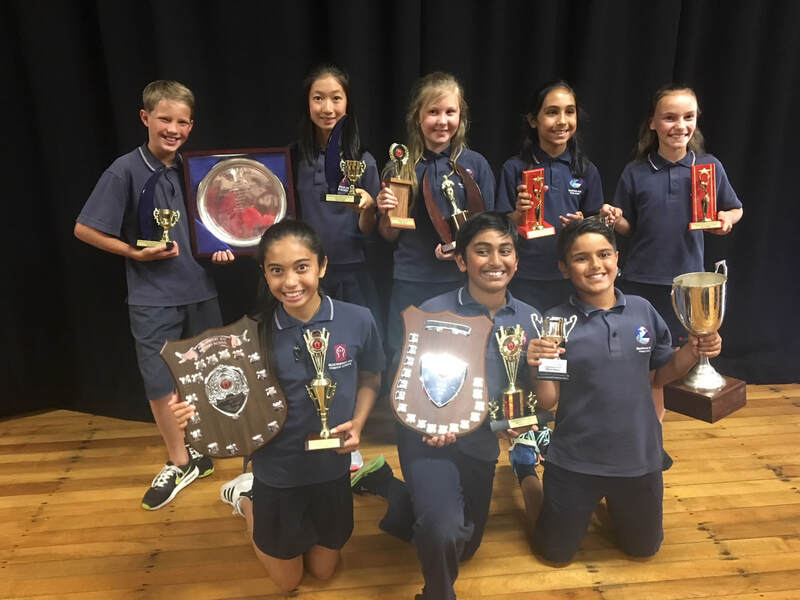 Then, it was on to the class awards for academic, sporting, arts, effort, citizenship, leadership, cultural excellence and service. The teachers had deliberated extensively over who should be recognised for these awards and the recipients certainly deserved their special certificates. Lastly, the winners of the prestigious trophies were awarded to students who were adjudged to have been the stand-out performers across the year. Each of these pupils received a scholarship to their 2018 school and a Warehouse voucher, both sponsored by Michael Cassidy from Barfoot and Thompson. This very generous gesture provides the children and families with tangible acknowledgement of their success and future potential. Lawn bowls is undergoing a renaissance, with participation in the sport increasing rapidly, particularly amongst younger people who are discovering that the sport is not only fun, it is also very tactical, and can be very competitive. Another appealing aspect of bowls that adds to its growing popularity is that bowls is an inclusive sport that anyone can enjoy playing regardless of age, gender or physical ability. New Zealand is one of the top countries in the sport internationally and our current NZ Blackjacks squad is blessed with an abundance of youth who are having a big impact on the sport globally and are inspiring young people to take up the sport. One competition that has a history of showcasing up and coming bowling talent is the Trusts NZ Open. Now in its 11th year the Open is returning again to Blockhouse Bay Bowls and has attracted a large field of bowlers from all over New Zealand and Australia. Qualifying rounds are played from 10-12 February at clubs throughout Auckland with the finals from the 13-18th at Blockhouse Bay Bowls. The Trusts NZ Open is a fantastic opportunity to see some of the country’s best bowlers in action. There is no charge to spectators wanting to come along and watch the action and enjoy the hospitality at Blockhouse Bay Bowling Club. Why not come along and see what the fuss is about? We hope to see you at the Open! Thanks for reading our stories! You can get BEACON delivered via email anywhere by subscribing - and its free!